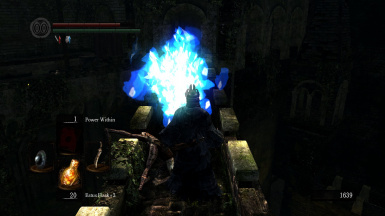 A small mod that changes most flames from orange to blue. Here's a thing a guess. Tired of ol' red hot flames? Why not change it to a cool blue? EDIT: After a small update, blue flames were added to bonfires and torches. I've also included the option to not install these if you desire. As always, in order to use this mod you will require DSFix. Link: http://www.nexusmods.com/darksouls/mods/19/? Step 1: Git DSFix ya spoon. Step 2: Enable texture override. This is achieved by editing DSFix.ini and changing enableTextureOverride to 1. Step 3: Locate tex_override folder. 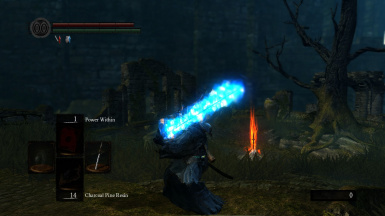 Usually found at: Dark Souls Prepare to Die Edition\DATA\dsfix\tex_override. Step 4: Dump contents of Blue Flame into tex_override. Conglaturations. 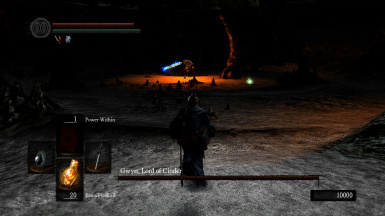 You have now modded your Dark Souls game.